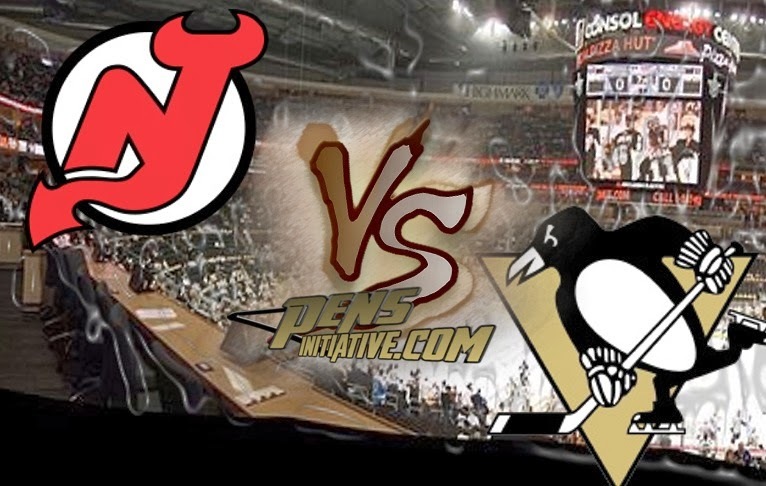 Last night the Penguins hosted the New Jersey Devils. The team only really showed up in the first period but that would be enough to get a 3-2 win with great support by Marc Andre Fleury. 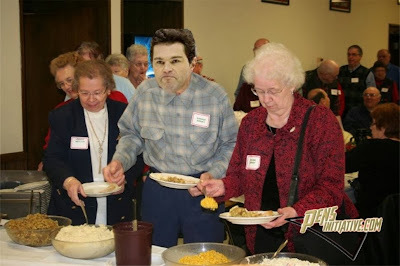 Jaromir Jagr was there so luckily all the boo birds showed up at the arena to show "love" to the former Penguin star. Because Schneider can't be credited with goals against, Dupuis got the goal (5th) with assists going to Kunitz (15th) and Crosby (28). Penguins have the lead 41 seconds in. The Penguins dominated the majority of the period and it wouldn't take long for them to cash in again when Chris Conner would get his second goal on the season after receiving a great pass from Sutter (7th) and Vitale would get the second assist (7th). The Devils looked awful on this goal. Nobody was anywhere near Conner. That is their problem, not ours. The Penguins go up 2-0. Almost 7 minutes later the Penguins would score again when Jayson Megna score to increase the Pens lead 3-0. It was Megnamans 4th on the season and assists went to Despres (3rd) and Engelland (3rd). That would be it for goals in the period. The Penguins dominated the period out shooting the Devils 12-7 and looked like they had enough going for them to get an easy win. Of course this means everything had to fall apart, right? If that wasn't enough under a minute later the Devils would score again when Zubrus would score. Everyone's favorite Devil would be credited with an assist on the play... HE LOOKS SO COCKY! The score is now 3-2 in favor for the Pens. The Penguins sucked... Looked nothing like the team that showed up to dominate the first period. Luckily for them Flower showed up, stopping 17 of 19 shots on the period. The Penguins only managed to get 5 shots on Schneider. The Penguins looked terrible again, but don't worry because Flower was still incredible. Stopping all 13 shots thrown at him. He continued to be incredible. And it was enough to get the win 3-2 over the Devils. The Penguins only really showed up in the first period. They were outshot 39-23. Flower is AWWWWESOMMMME! Adam Henrique took a broken stick penalty. What an idiot. The next game is TONIGHT @ Detroit. The game is set for 7pm.